15 Nov 2018 --- FrieslandCampina’s Vivinal GOS Powder has been found to benefit obese people with intestinal problems. According to a recent study, consumption of the galacto-oligosaccharide ingredient may significantly reduce certain markers of gut permeability, indicating an improved intestinal barrier function. According to the joint research by the University of Nebraska, Rush University Medical Center in Chicago and the University of Alberta in Canada, F Vivinal GOS powder may benefit obese adults with a “leaky gut” problem.High gut permeability or “leaky gut” is associated with a higher concentration of harmful compounds in the bloodstream, which can result in inflammation and potentially to the development of disorders such as inflammatory bowel disease, Type 2 diabetes and cardiovascular disease. Obese adults are more susceptible to high permeability of the gut than adults who have a normal weight. The US Food and Drug Administration (FDA), greenlighted specific fibers in a regulatory announcement in June, meaning that the promoted fibers can be classified as “dietary fibers” on the upcoming US Nutrition Facts Label. Galactooligosaccharide (GOS) is among the eight new fibers approved by the FDA. Despite Vivinal GOS powder being a widely used ingredient in infant nutrition, Vice President of Performance Nutrition at FrieslandCampina Ingredients, Sarah Staley, says it can be used in other applications as well. Speaking to NutritionInsight at the IFT Annual Food Expo in Chicago in August, Staley highlights the attributes of GOS powder as a rich fiber source. “It is difficult for fiber to be used in various applications. Now we have the capability to look at many different applications where you don’t have to worry about how it’s going to be processed, how stable it’s going to be or how it's going to affect the taste of your product,” she says. “It is not terribly sweet but it adds a little sweetness so if you want to reduce sugar you can use it that way as well,” she tells NutritionInsight. This complex carbohydrate powder contains non-digestible GOS that in addition to their nutritional value, promote gut health as a rich fiber source. Furthermore, the consumption of GOS showed an increase in bifidobacteria, which has also been observed in previous human studies. Bifidobacteria numbers are strongly associated with improvements in intestinal barrier function. “As far as we are aware, this is the first study in humans showing that GOS improves intestinal barrier function. 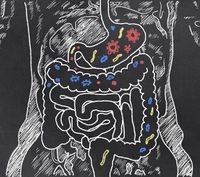 This provides a rationale for their use in disorders with an underlying leakiness of the gut,” says Professor Robert Hutkins of the University of Nebraska.